A PRIDE Post Archives - Page 10 of 18 - Pride Learning Co.
What does the Factors of Attention mean? The area of the brain known as the pre-frontal cortex takes responsibility for the “executive functioning” of the brain. This is the “thinking brain” which must make decisions, keep track of time, assimilate what is being told, seen or taught, and organize information with prioritization in order to be processed by the brain. This is how we “think about our thinking” so we can function efficiently in the world. Efficiency in our lives helps to create happiness in ourselves and respect from others. FOCUSED OR SELECTIVE ATTENTION: We need to be able to select the most important information and to ignore the input that is not needed at that time. For example, listening to the teacher’s directions and ignoring a friend kicking your chair is vital to success. SUSTAINING ATTENTION: Maintaining awareness is essential to helping us focus on our goal or task. Sustained attention is critical to completing the job, whether that is homework or cleaning your room. SHIFTING ATTENTION: Flexibility of attention is key to our ability to change, to grow, and to multitask so that we get everything done that we need to do. Playing Nintendo for 20 minutes and then getting back to the homework is not possible without this flexibility. ATTENTION FOR ACTION: We need to be able to route the input to the appropriate brain sites in order to put all the information together so that it comes out at the right time, in the right order, and in socially appropriate ways. This function involves SEQUENCING and PROCESSING the information. DIVIDED ATTENTION: Being able to attend to several things at the same time without getting distracted is key to keeping all the balls in the air that modern life demands of us. The child must remember his study-buddy’s phone number, focus on his internet project, and listen with acknowledgement to his mother asking him to call his father in for dinner. “Although there is a solid core of scientific evidence indicating that speaking and listening have a biological foundation, the human capacity for reading and writing does not.” (Maureen Argus, The ADHD Challenge, March/April 2000). In order for a child to speak, read, listen to the teachers, or write, that child must have developed the ability to pay attention in all ways. Children with ADHD and many with learning disabilities related to cognitive deficiencies have attentional problems. Without proper attention, reading and writing cannot be assumed. There are 5 senses (i.e., hearing, vision, touch, smell, and taste) that need to be in attention at all times. 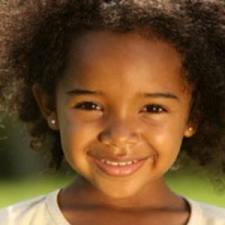 However, most often in school the child must rely on her ability to hear and see. When we talk about a child’s auditory or visual processing skills, we are talking about a child’s ability to use all of the above 5 attention functions in order to understand, think critically, and to produce results. This is processing. Getting all the input out (whether it’s on paper or in an oral report) is not enough. The output must be in the right order. This is sequencing. Dr. Valerie Maxwell is a clinical Psychologist in Manhattan Beach, CA and a frequent speaker at CHADD meetings in Southern California. Having strong language skills is very important in school. Students who have auditory processing disorder have weaker language skills compared to others of their age and can therefore have serious problems as students. Even though individuals with auditory processing disorder are intelligent in other important ways, students with language disorders are apt to find school especially difficult and sometimes frustrating and embarrassing. Students with auditory processing are sometimes slower at learning, understanding and using new words. Comprehending spoken language: Some students with auditory processing feel that the teacher is speaking much too fast. They start getting mixed up or confused when a teacher gives them complicated instructions or explanations. Reading: Individuals with auditory processing disorder might find themselves falling far behind in their reading skills. In the beginning grades, these children might have trouble sounding out or identifying individual words because of poor phonemic awareness and phonological processing skills. Others might understand the sounds but have troubles remembering them. As the grades get higher, these students often have more and more difficulty with understanding or remembering what was read which hinders their reading comprehension skills. Communicating ideas in words: Sometimes students with auditory processing skills have a strong vocabulary but have difficulties recalling, finding and using the right words quickly when they need them. This hinders their abilities to participate in classroom discussions or makes them nervous when they are called upon in class. Many times these students have excellent ideas but difficulties expressing them in language. Writing and Spelling: Students who have difficulties expressing their ideas out loud often also struggle expressing themselves on paper. Compositions, book reports, essays and stories are a huge obstacle of them. Because these kids don’t have a strong sense of the sounds of the language, they will struggle in spelling. They won’t apply spelling rules, usually spelling the words exactly as they look. What can be done about Auditory Processing Disorder? A teacher needs to be informed that the student does indeed have an auditory processing disorder and how this might affect the student’s classroom performance. The teacher dealing with a student with auditory processing needs to be flexible in their approach, so that they can find a method that suits the child, rather than expecting that all students will learn in the same way. The teacher can be cautious not to talk too quickly or in sentences that are too long or complicated. The teacher can give the student some visuals and illustrations on what is being said. Most often, the student with auditory processing needs to sit in the very front of the class so that he or she can listen and focus on the language better. The teacher can also give the student extra time for a response when asked a question, or focus more on yes and no questions for these students. Students with Auditory Processing Disorders will need extra outside the school help with reading, writing, and spelling. The tutor who does this should be knowledgeable and experienced in working with students with learning disabilities and trained in a reputable multisensory Orton-Gillingham reading, writing, spelling ad comprehension program. Many students with Auditory Processing benefit greatly when working together with a speech and language therapist. Speech Therapists have been specially trained to work with individuals who are having difficulties understanding or communicating. Both the tutor and the speech therapist can work side by side and also help the classroom teacher understand auditory processing and the student’s language difficulties. Students that have Auditory Processing Deficits should never get discouraged. Most of these students do improve as they go through school. However, there might be some students who fall behind in school because of their language problems. It is easy for these kids to get discouraged and give up. When this happens their academic skills end up further behind those of kids who get a lot of practice through schoolwork. Work hard and stay motivated. Get outside help and stay positive. New Year’s resolution for kids give a perfect opportunity for you and your child to discuss areas in which there’s room for improvement. The one resolution you should always try and make as a family is to spend more time reading. Why is it that some children seem to take to reading with no effort and no nagging, while other children would rather do almost anything than read? If you are a parent interested in ways to inspire those reluctant readers in your family, then this article will offer valuable information for you. •	Let your child talk to you about the book they are reading. Television, computer time, and video games can quickly take up all of your child’s free time. Limit the amount of media you allow your child and your family will have more time for reading. Do you watch your child struggle to read a book that you feel is just perfect for their age and reading level? Is the reading choppy and slow? Reading fluency is the process where a child reads aloud expressively and with understanding. 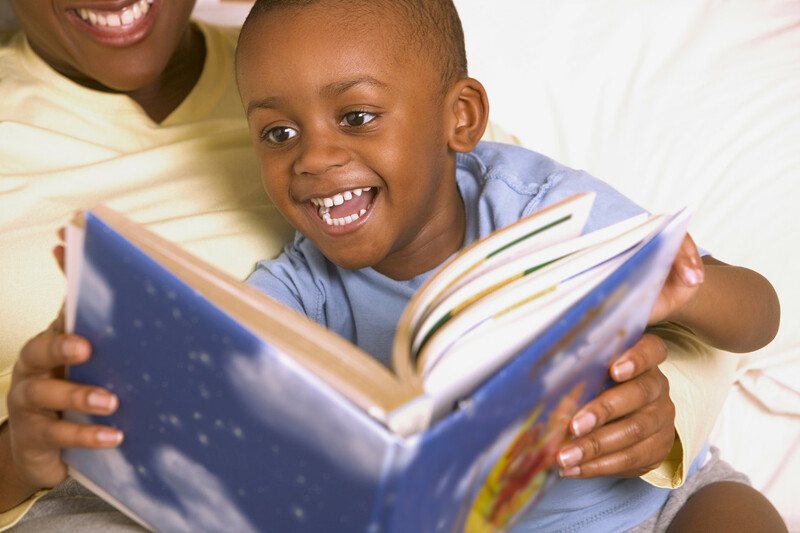 When a child reads fluently, the words flow smoothly and at an efficient pace. Reading fluency is a critical component in the reading process. Stumbling and hesitating over words undermines reading comprehension given that by the time the child gets to the end of a sentence he or she will have completely forgotten what was at the beginning of the sentence! How do you measure reading fluency in your child? Ask the child to read a grade level passage that they have never seen or read before. Using a timer have the child read this text for one minute. While reading the passage, tally the errors the child makes while reading. Stop the child after one minute. Count the number of words read in the minute and subtract any errors made by the child. For example: if he or she read 120 words in a minute and made five errors then the child’s reading fluency rate is 115. Use the chart below to determine if your child’s reading rate is on target. Johns, J. and Berglund, R. (2006). Fluency strategies and assessments. Dubuque, IA: Kendall/Hunt Publishers. How do you determine a child’s reading level to test for fluency? Probably the easiest ways to determine if a book is at an appropriate reading level for your child is the Five Finger Rule. Have the child begin reading a chapter, and put down one finger each time he struggles with a word. If they reach the end of the page before you get to five fingers, the book is written at a comfortable level for independent reading. What can you do to increase and improve your child’s reading fluency? The very best way is through practice, both through oral and silent reading. One approach to practicing reading fluency is for the child to repeatedly read the same passage or text either with a parent or teacher three to four times. Rereading text gives the child multiple opportunities to read unfamiliar words. After repeated reading, those words become familiar. The child should practice rereading aloud texts that are reasonably easy for them and at their reading level and include words that the child already knows and can decode easily. A text is considered at reading level if the child can read it with 95% accuracy. This text should also be relatively short consisting of 50-200 words. First, the parent or teacher reads the text aloud to the child. Then the child reads the same passage to the adult or chorally with the adult. Finally, the child rereads the passage again independently. Reading frequently will also improve reading fluency since reading is a skill that improves with practice. 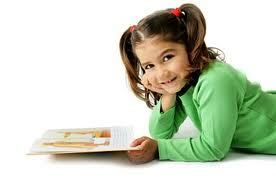 Children can improve their reading fluency by reading independently each day for at least 20 minutes. Again it is important that the child read a book or text that is at their grade level or slightly below their grade level. Children should be encouraged and allowed to read a book of their choice – even if this doesn’t involve classic novels for their independent reading. For gaining fluency, quantity is more important than quality. Whenever possible, use their interests to guide their reading choices and give them some power in making decisions about what to read. Memorizing Dolch sight words is another method to improve reading fluency in children. By memorizing common words like “the”, “said”, “what”, “you”, the child will read texts and stories more fluently. Many of these words are in almost anything they read. Readers will have more experiences of success if they know these words. Dolch words are service words; they give meaning and direction, which are necessary for understanding sentences. Model good reading for your children. Share what you read with them or read what they are reading. Have discussions and talk to them about the things you find important in what you read and why. Parents and teachers need to read themselves and read in front of their children and students. Children will imitate you and will be more likely to read and read well in a house and classroom filled with all kinds of interesting books, magazines and texts. Reading is an important first step on a child’s path to success in life. 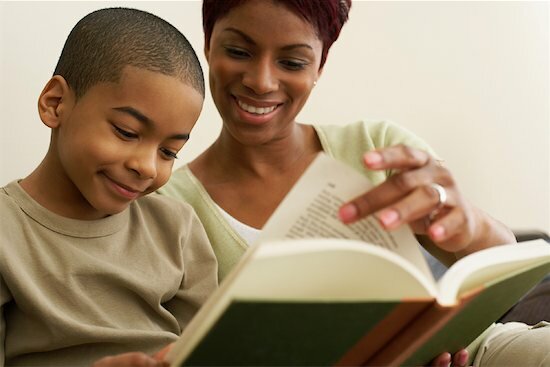 A child that is an excellent reader is a confident child, has a high level of self -esteem and is able to easily make the transition from learning to read to reading to learn. For many of us reading is a natural process and we can read with ease and pleasure. Unfortunately, for a child with a reading disability, the reading process can become a frustrating and negative experience and is often very difficult to master. A reading disability is an inherited condition that makes it extremely difficult to read, write, and spell despite at least an average intelligence. Learning to read is a sequential process. Each new skill a child learns builds on the mastery of previously learned skills. First, a child learns to break down words into their most basic sounds, which we call decoding. Later on, the child begins to comprehend the meaning of words and sentences, which we call reading comprehension. Decoding is an essential step in the reading process since it forms the foundation of reading. For a child with a reading disability, decoding does NOT come naturally and is NOT an automatic process. Most reading experts will agree that decoding problems is the basis of most reading disabilities. If your child is struggling in reading and showing the above symptoms, there may be good reason for you to request an immediate assessment. As a parent you want to be certain that you are providing what is needed for your child to succeed in school. To know what is necessary, an assessment is the first thing to do in order to identify the issues to remedy. A child with a reading disability will take in and process information differently and needs to be taught by specialists. Students with a reading disability will need to work with a specially trained teacher, tutor, or reading specialist to learn how to read and spell. Students who have been assessed and diagnosed through the school district might qualify for Special Education Services. Children with a reading disability progress best with a sequential, repetitive, systematic and cumulative structured reading program. Fortunately, with the proper assistance and help, most students with a reading disability are able to learn to read and develop strategies to become successful readers. When is the best time to get help? Effective early intervention is the key to helping a struggling reader learn to read. This training needs to begin sooner rather than later for the bet results. According to the National Institute of Health (NIH), 95% of children who have trouble learning to read can reach grade level if they receive specialized help early on. Kindergarten to the middle of first grade are the “window of opportunity” to prevent long term reading problems. Without early intervention, the “reading gap” might never close. There is no reason why a child with a reading disability cannot learn to read and comprehend well. It is important that we never lower the expectations of a child with a reading disability. Children need to feel that even though they are struggling, they are loved and not being judged. So be encouraging and patient and praise often. I know many adults who truly believe that they cannot spell, saying “I can’t spell” in the same manner that they would say, “I can’t swim.” But spelling, like swimming, can be taught. However, while most teachers know how to test for spelling, very few know how to teach spelling. There is a misconception that spelling is a form of dyslexia, a disorder where one is unable to recognize words or sound them out phonetically. The acts of reading and writing occur mainly in the left temporal lobe of your brain – the part of the brain near your left ear. The act of spelling, however, occurs mainly in the occipital lobe of your brain – the visual cortex in the back of your head responsible for forming and retrieving visual memories. So, to remember how to spell a word, you must first store the memory of that word, and then retrieve that “picture” when you are about to write it. When I teach spelling to children and to adults, I first talk about the three types of memory. The first type of memory can be called “Blackboard” memory, which lasts from 1-30 seconds. The goal of your brain in Blackboard memory, surprisingly, is to forget what you’ve seen. For example, if you’re driving down the street and see various business signs, “Tom’s Bakery,” “Joe’s Key Shop”, “Chan’s Dry Cleaners,” etc., you certainly don’t want to keep remembering Joe’s Key Shop for the rest of the day. Rather, a “slide” of Joe’s Key Shop is stored in your visual memory, but you’ve made no pathway to consciously retrieve the memory. Occasionally there may be an accompanying smell (such as the bakery next to the key shop) which may remind you of the key shop, but you’ll most likely not remember that the key shop exists. So, when you actually need a key made, you’ll probably have to search the listings for one, and lo and behold, there’s Joe and his key shop right around the corner! The second type of memory can be called Short-Term Memory, which lasts from 31 seconds to about 2-3 months. Most children rely on Short-Term Memory to recall information for tests, midterms, and final exams, but then forget the information the following year (which explains why kids have to be re-taught “mean, median, and mode” every year from elementary to high school). The third type of memory, Long-Term Memory, is the stored memories of experiences and information that we will always be able to recall, either from connection to an emotional event (e.g., World Trade Center) or from multiple uses (e.g., names, phone numbers, addresses, etc.). The goal of all learning, then, is to place what needs to be remembered into the student’s Short-Term Memory, so that facts, dates, and the spelling of words can be recalled. Once this information is stored in Short-Term Memory, a pathway is established so that the student is able to consciously retrieve the information for up to 3 months. If there is repeated exposure to the information, this pathway becomes even more established, forming a Long-Term Memory. Teaching spelling in school is usually done by having a student copy the words over and over again, which of course does not work at all. By copying the words, their spelling never leaves the student’s Blackboard Memory, so the brain does its job well and dutifully helps the student forget the spelling. The goal, then, is to place the spelling of the word in the student’s Short-Term Memory, so it’s “picture” can be retrieved. 1. Have your child write the spelling word on a piece of paper, then trace the letters with his or her index finger while saying the spelling word out loud. Have the child say the word normally while tracing it, not say or sound out individual letters or vowels. 2. Take the paper away and wait a minimum of 30 seconds (e.g., sing the “Jeopardy!” theme or some other song). 4. If your child spells the word incorrectly – which is likely to occur at the beginning of this technique – go back and repeat steps 1-3. Once your child has established a pathway to the Short-Term Memory of a word’s spelling, it’s THERE – the brain has no way of knowing if that pathway was established 31 seconds ago, one week ago, or one month ago. And since the pathway is there, your child WILL remember the spelling of the word. I’ve used this technique with parents and children for many years, even students with mild traumatic brain injury, and I’ve never come across a student who did not suddenly go from the worst speller to the best speller in the class. David Raffle, PhD, CBIS, is a credentialed special education teacher, educational specialist, and brain injury specialist who performs neuropsychological and psychoeducational testing for special education services, standardized testing accommodations, and modifications in the workplace for children, adolescents, and adults with developmental disabilities, traumatic and acquired brain injuries, attention-deficit/hyperactivity disorder, and autism spectrum disorders.